Buy, sell, or exchange goods with other users, here. Want to purchase something which isn't listed on the marketplace? Post your request here. This is a sellers' section open to all members. Sales threads must follow the policies and rules. The sales of PSN/Xbox Subscriptions and Microsoft points/PSN points are to go here. Selling 3 Month/12 Month Playstation Plus cards! Offer your services here. Please make sure you read the rules, before making a thread. Trade items/accounts for other items/accounts in this section. 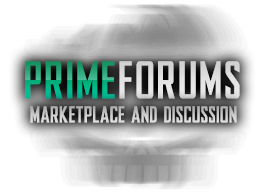 Sell other items/goods which don't have a separate forum category here. [ TWITCH ] Premium Affiliate Accounts for Sale!